- Paraboard V3 Parallel Charging Board can be used with common string charge (such as IMAX B8) or separate charge (eg UN A6) charger for six groups of the same type, the number of sections consistent 2-6S battery set can balance charge in parallel. 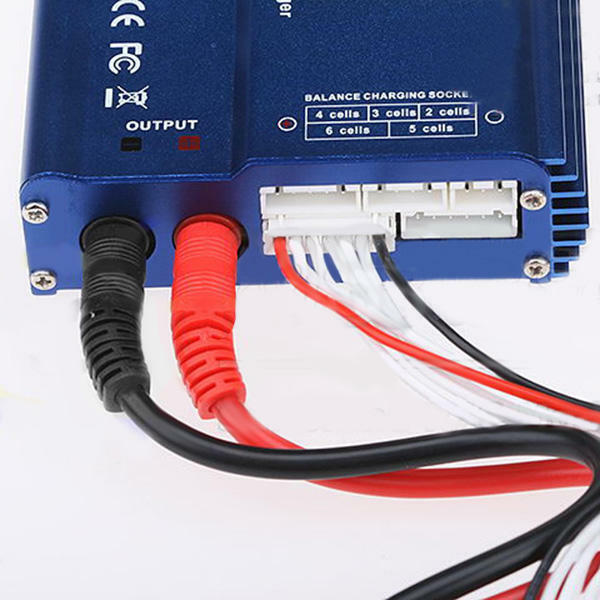 - Support four groups 2S,or four groups 3S,or four groups 4S,or four groups 5S,6S or four groups parallel balance charging. 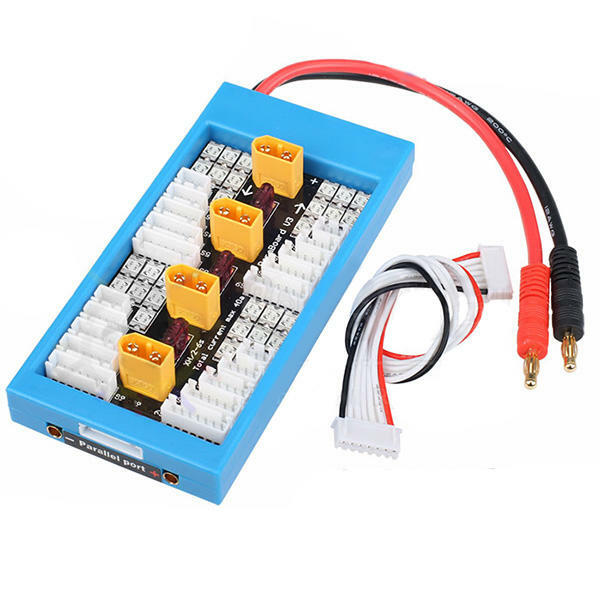 Multiple ParaBoards V3 can be connected directly in order to charge more than four batteries at the same time. Parallel charge can save your time significantly. If you charge two batteries at the same time,the charge current is two times of that you used for a single pack,and you need only approximately 1/2 of the charge time to charge every battery separately. Similarly,if you charge four batteries at the same time, the charge current is six times and time is only 1/4.